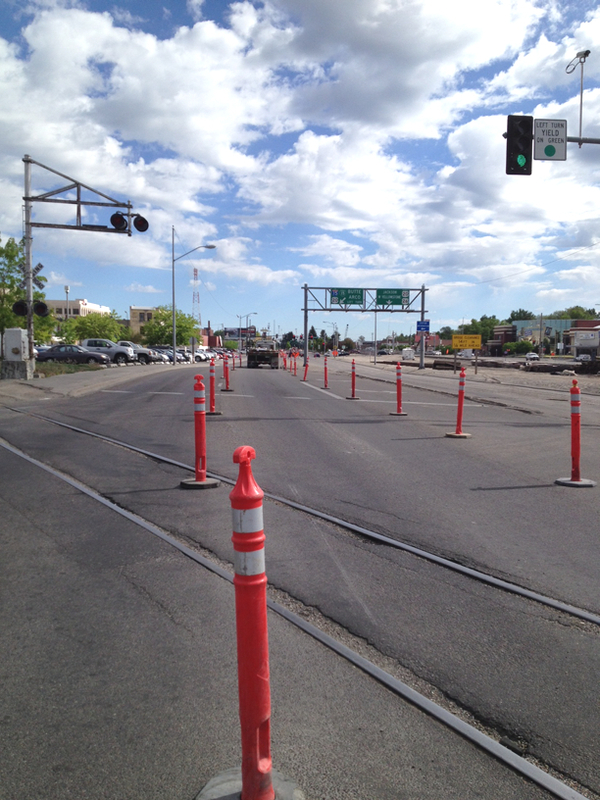 Crews are milling the tops of Yellowstone Avenue and 17th Street, so lanes will be closed this week. Expect delays. I don't know how many of you were driving on 17th, Pancheri or Yellowstone this morning around 8:45, but anyone who was probably wondered what was going on. There were lanes blocked off and cars lined up for blocks and blocks. 17th to Pancheri: Crews began milling the top of the roadway Monday at 8 p.m. Today HK Contractors was to install traffic loops and Wednesday morning the plan is to mill up to Holmes Avenue. Milling involves taking the top of the roadway off and flattening it. D Street Underpass: Cannon Builders will finish the demolition of the old bridge structure this week. One lane of Yellowstone will be closed from 7 a.m. to 5 p.m.
John Adams Bridge: Cannon Builders will be paving approaches off bridge this week and finishing concrete sidewalks. ADA/Gutter replacement: At various locations throughout the city, curbs and gutters are being made compliant to the Americans With Disabilities Act. If you don't like waiting in traffic, it would probably behoove you to find an alternate route this week.